We take pride in our ability to provide personalized service, exemplary craftsmanship and experience, with honest and reasonable pricing to satisfy our clients in a wide range of projects. We know our clients expect open communication, attention to detail, a construction team committed to providing a safe, clean and organized work site, and completion of their project as specified, on target and on time. At Bennett Construction Company, our goal is to exceed your expectations. From attic conversions to kitchen flooring, our comprehensive approach includes technical and specialty knowledge combined with quality management. Complex projects require intense oversight and we are present to problem solve and develop solutions as the need arises. Each project begins with an initial meeting with the customer, to gather information on the customer’s objectives. We perform an overview on the scope of the project and review all the details of the work to be completed. This clarity ensures that we and our customers have the same expectations. Our job is to understand our clients’ goals and expectations to craft a clear scope of the project – from start to finish. From initial idea to final budget, we provide solutions and options through a tailored plan developed exclusively for our clients. Created with each client’s unique personality and design in mind, we manage a seamless construction process that ensures total project success. Jerrel Bennett graduated from the University of Memphis with a Bachelor of Arts in Engineering, majoring in Construction Technology. 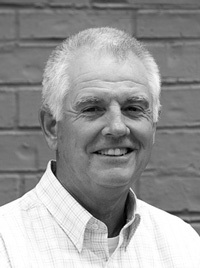 He founded Bennett Construction Company in 1975. Throughout the years, he has developed a keen ability to communicate with customers and discuss their ideas. His expertise in design and detail ensure that the final product is both practical for their needs as well as architecturally sound. He loves to partner with clients to design an addition or renovation that compliments the existing structure while remaining true to the style of the surrounding neighborhood. He is passionate about the journey of taking a client’s ideas and making them a reality to achieve a better-than-expected result. Due largely to Jerrel’s work ethic and reputation, Bennett Construction Company has received and maintains the highest rating (A+) through Better Business Bureau™. Jerrel spends his spare time with family, playing golf or playing music at church. He and and his wife, Jackie, have 3 children and live in Memphis, TN. Ken Joyner graduated with a Bachelor of Science from Middle Tennessee State University. Specializing in project estimating and management, he enjoys all aspects involved in the collaboration process of designing, planning, budgeting and building. 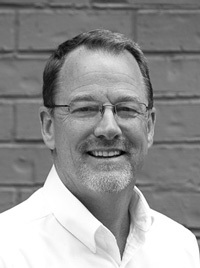 Ken takes great interest in developing new environments that uniquely fit the personalities, goals, and architectural expectations of each client. He feels it is a great privilege to be entrusted with a client’s vision, and finds it rewarding that oftentimes, this process becomes the cornerstone of lifelong friendship. Ken has received a Navy Commendation Medal for service during operations Desert Shield and Desert Storm. His integrity and character have given him a solid footing in the local community. When he’s not on a job-site or behind a desk, he enjoys spending time with his wife, Tanya, their children, and friends. Established in 1975, Bennett Construction Company provides quality construction services throughout Memphis and surrounding areas. As general contractors, we specialize in renovation and repair of residential and commercial properties.